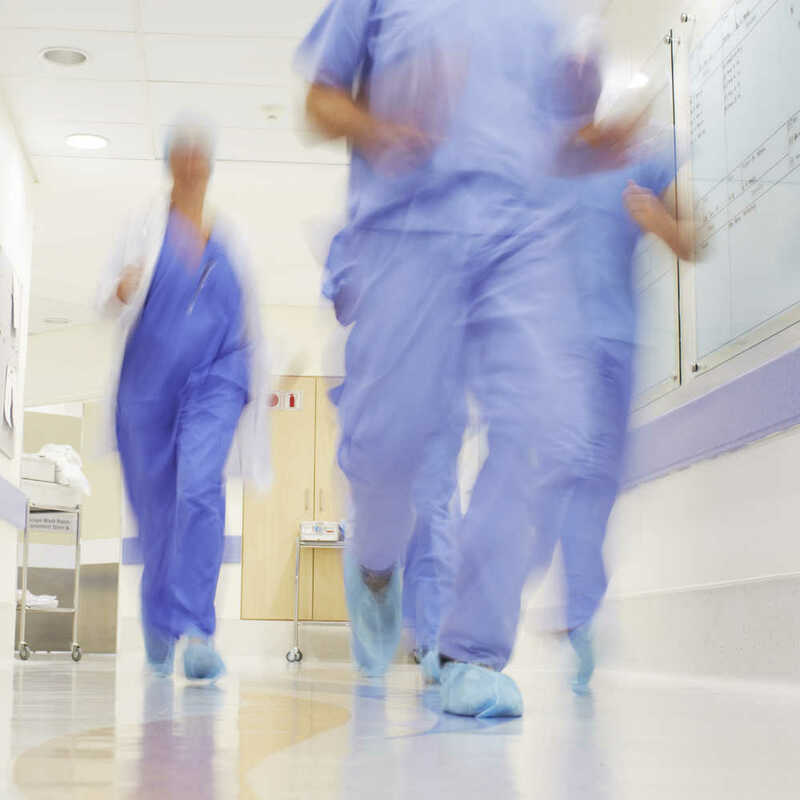 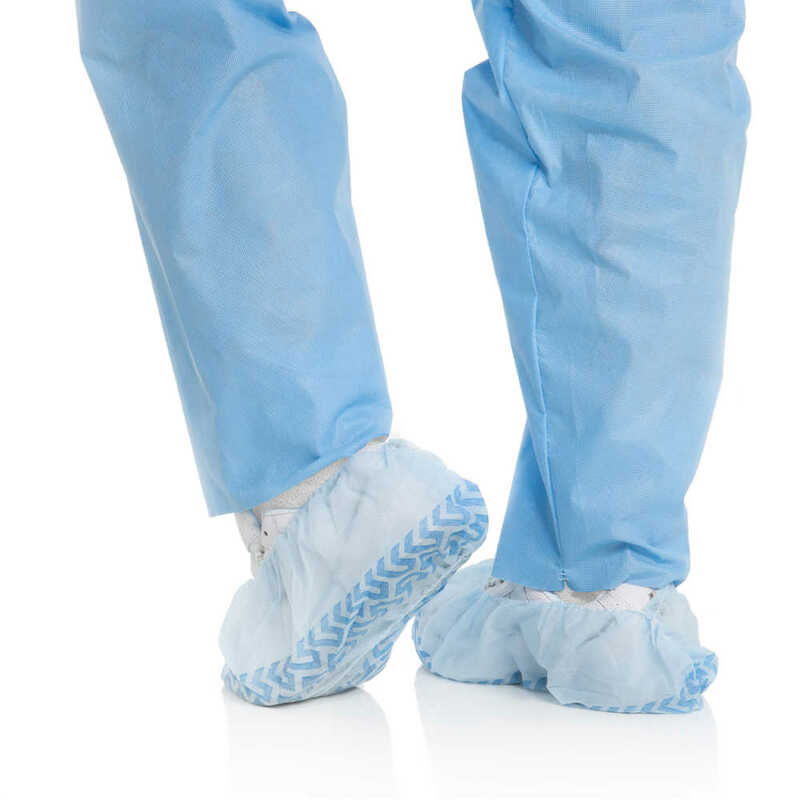 When you need to give your team protection from liquid splashes and unwanted slips in the lab, the Kimtech A8 Certified Shoe Covers with Traction Strips deliver. 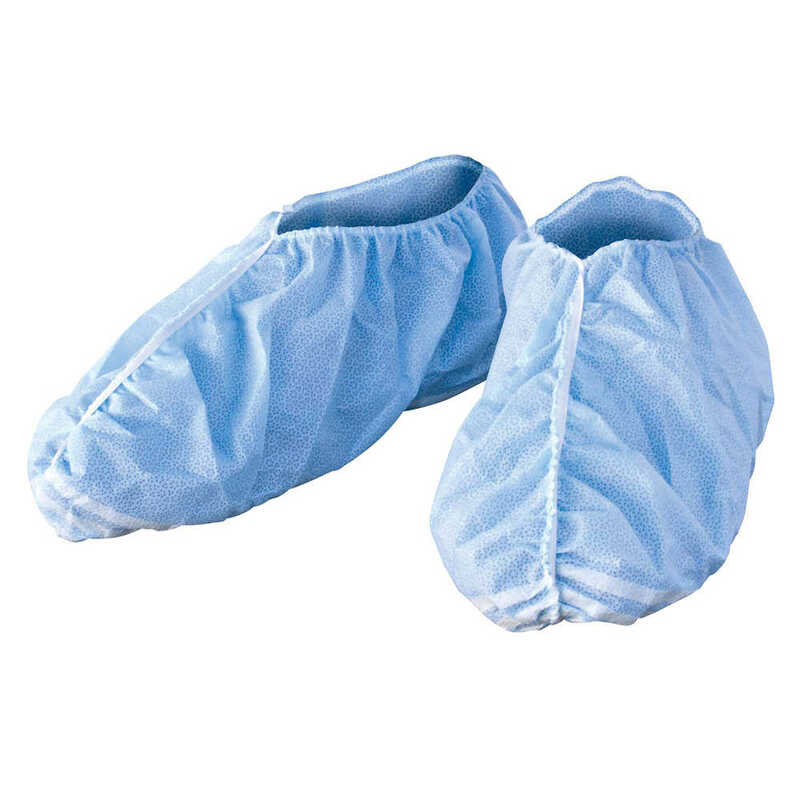 These blue lab shoe covers are made of a protective 3-layer SMS fabric to provide protection from moderate fluid contact and they feature adhesive traction strips on the bottom to help prevent slips in your laboratory environment. 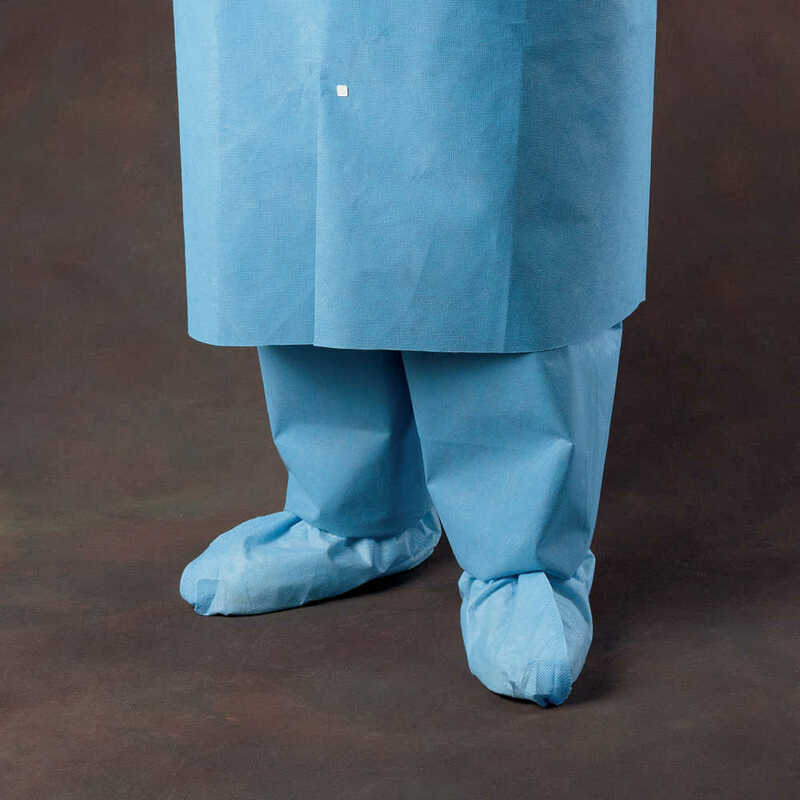 The protective shoe covers are not made with natural rubber latex are fully elasticized, so your lab techs will enjoy a snug, secure fit.